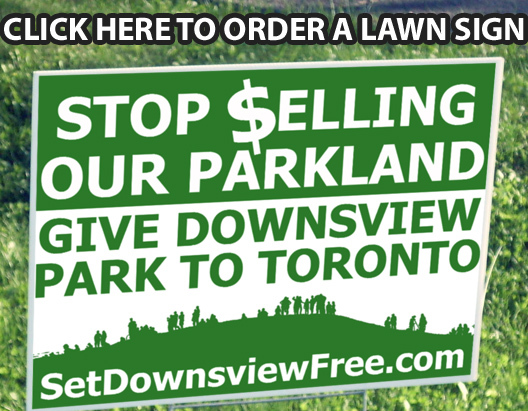 Give Downsview Park to Toronto. The Federal Government’s “secret document” considered giving the Downsview Park Lands to the City of Toronto. Instead they pushed ahead with their development plans, using the Ontario Municipal Board to approve the sale of our park land. WHY ARE PROVINCIAL AND FEDERAL GOVERNMENTS IN THE BUSINESS OF SELLING OFF DOWNSVIEW? Sign up below and help SET DOWNSVEW FREE by giving it to Toronto! Why is the Federal Government in the Business of Selling Downsview?